Misty tea-lined mountains, elephants bathing in rivers, smiling faces and one of the most delicious and diverse cuisines in the world! Discover one of the most beautiful islands on earth. Explore stunning tea estates, mountain ranges, Buddhist pilgrim sites, and the jungle-clad city of Kandy. 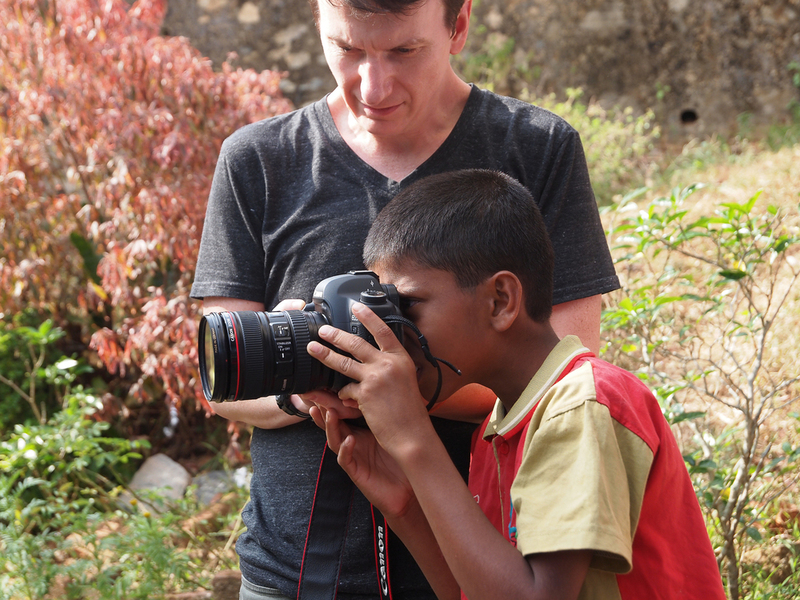 Work with orphaned children outside Colombo and experience the real Sri Lanka. This Foto and Foodie workshop will include our director Laurie Nassif's take on the country's complex and spicy cuisine. Fotos and Food and a 'giving back' mandate! Singithi Sevana Home for Children, a small, loving orphanage in Kandy. Singithi Sevana means "Children's Rest" and it provides residential care to orphans from ages 2-12. The Home offers art programs and special elders days and is raising funds for some renovations to their building. camera equipment, waterproof hiking/walking boots, layered clothing, tropical clothing, rain jacket, bathing suit, school supplies for children, small art supplies. Comfortable, some walking, optional trekking and hiking. Then wander Negombo and wait for the Oruvas (dug out canoes) to arrive with their catch! Learn to cook the Sri Lankan's favorite fish curry! and dotted with saris of all colors, Kandy will take your breath away. Lunch at a local eatery with our guide Platy! Afternoon visit to surrounding tea plantations and a journey in to the art of tea making. colorful pluckers, roam the hillside and immerse ourselves in the plantation. vegetable dishes and a one meat curry! is a local Buddhist pilgrimage site and home to the snowy white topped Dogoba. known as the Mahagama (Great Town). to this stunning beachside town. a little gem with some of the best market food in town! Wednesday market visit for photographer and more street food! people with disabilities offering them a full rehab center and hands on training in arts and crafts. We will do our sunpaper workshop and have a cultural exchange. Your last day in Sri Lanka! Wander the streets of Galle. Explore the architecture, spice markets and fermented fish! take some one on one editing time with instructor! AND WE HOPE TO TRAVEL WITH YOU AGAIN SOON!